Marvelous and XSeed Games announced that Rune Factory 5 is in development for Switch, and Rune Factory 4 Special, coming later this year. Surprising everyone, Xseed Games and Marvelous announced on today’s Nintendo Direct Rune Factory 4 Special, a remaster of Rune Factory 4 on Nintendo Switch. Not stopping with this and decided on triggering hysteria among the series’ fans, Rune Factory 5 was announced as well. 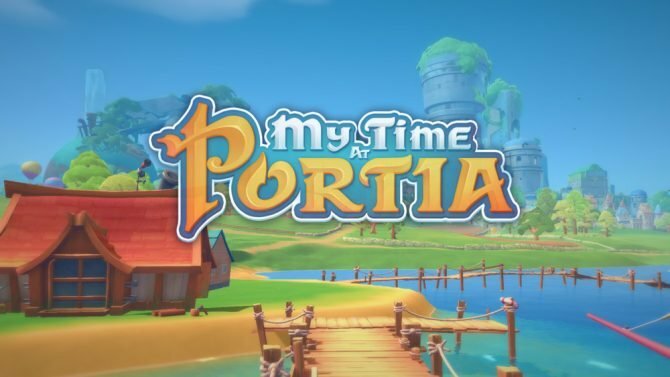 The game is currently in development, with no release date estimate. 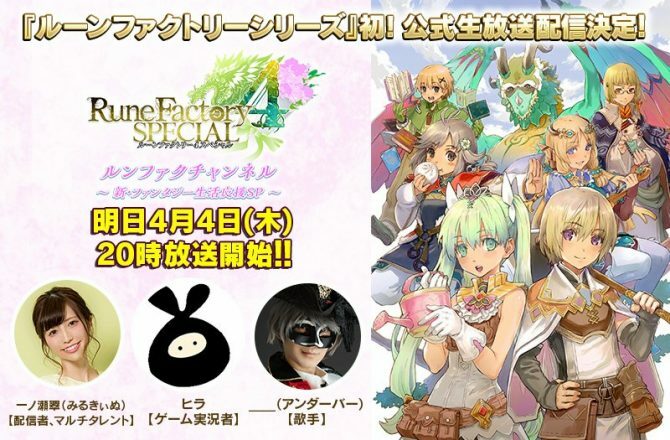 Meanwhile, Rune Factory 4 Special will be coming “later this year”. 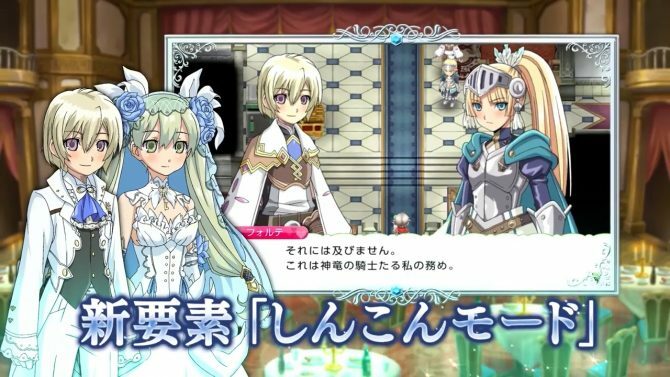 The main addition in Rune Factory 4 Special is the inclusion of new stories focusing on the married life with all of the characters in the game you can tie the knot with. 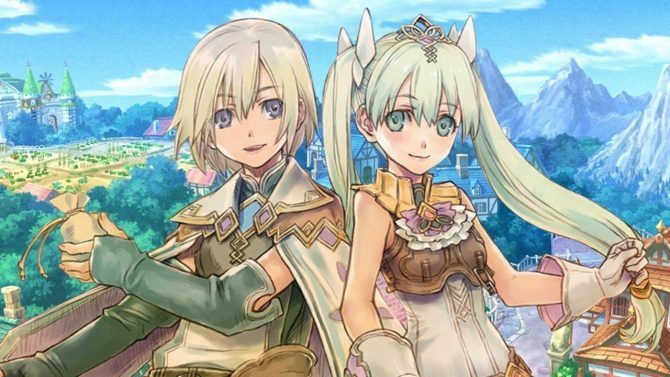 Rune Factory 4 lets players choose between a male and a female character, and is basically about being a town’s mayor, strengthening your relations with people while battling monsters and farming. Rune Factory is a spinoff of Bokujou Monogatari, the farming life series now known outside Japan as Story of Seasons, with its old moniker Harvest Moon now sporting a similar but different series. While some past games already had fighting elements, such as Harvest Moon Friends of Mineral Town on Gameboy Advance and its mines, the first Rune Factory game in 2006 introduced a full-fledged action battle system to the series. Rune Factory, 1,2 and 3 released on Nintendo DS. There was also Rune Factory Frontier, released on Wii, and Rune Factory Tides of Destiny, released on Wii and PlayStation 3. Tides of Destiny especially was similar but different than the others and featured fully explorable 3D environments. All games take place in the same universe and sometimes feature returning characters, even if some of the games are set years apart, as Rune Factory is a fantasy world with monsters, elves and more. Rune Factory 4 was the series’ last released game, on 3DS in 2012, as the developing studio, Neverland, went bankrupt in 2013. However, back then, Rune Factory 4 Producer Yoshifumi Hashimoto posted a hopeful message, and now the series is finally back. I’m so excited I’m having trouble typing. As someone who played since childhood nearly every Bokujou Monogatari game, and every single Rune Factory game, except for Rune Factory 4 as I never got myself a 3DS because of the region-lock, this is a gift from the heavens. Nintendo never sported its name better. Best Nintendo Direct ever. You can find the announcement trailer for both games below. Update: While there was no release date for the west, the Japanese version of the Nintendo Direct announced that Rune Factory 4 Special will launch on July 25 in Japan. And Marvelous’ official site indicates for Rune Factory 5 a 2020 release in Japan. Thanks to everyone’s passion, we’re finally ready to announce a Rune Factory series lineup we know you’ll love. My heart and soul are going into these games, so keep your eyes peeled for more info to come! Producer Yoshifumi Hashimoto also published a message on Twitter thanking the fans. Besides the new "Newlywed Stories" mode, Rune Factory 4 Special on Switch also includes a new "Another Story" mode.